Ever run a race with obstacles? Every run a race with living…errr…dead obstacles? Dead, but walking, crawling and charging after you as you navigate and try to navigate the obstacles, wooded trails and open fields. Zombie Charge is more exciting than a typical obstacle course or mud run. It's more exciting than a zombie walk or zombie run. As a runner you get to navigate world class obstacles and get chased by zombies. Your heart will be racing the entire time! You will have to run through a Zombie infested 5k trail and obstacle course. Runners wear a belt with 3 flags (think flag football). The flags represent your life - they are your body parts. Complete the course with any or all of the flags and you will be a survivor - among the elite! But it won't be easy! The Zombies on the course are hungry and will be wandering the course trying to take your flag and infect you! If all of your flags are taken, you have become infected. But don’t worry, if you can make it to the Safe Zone at the finish line, our Doctor J has created Nectar and a decontamination chamber that may just give you that chance to survive and party with the rest. get ready to chase after the living. Come in your best costume, get make up, and chase down the living! B. After you check in, immediately head over to the Professional makeup tent. All Zombies will head on to the course 30 minutes prior to their wave, so please arrive early. It is important you stay in your assigned wave time. You can find that with the Wave Time Assignment here. C. After you get your make-up, hang around. Zombie King will be there to give some final tips before a group marches you out on to the course. We are creating an authentic zombie apocalypse experience for all, you must remain in character for your entire time on the course. 1. Zombie Charge zombies are evolving. Some walk, some run, some even crawl - it is entirely up to you! We want some of you to scare more than chase, but always reaching for a flag! 2. Your goal is to capture the flags of the runners as they run by – so reach or chase. 4. You are allowed to stay in groups – in open areas we encourage it. These are called zombie nests. You can’t talk, but you can horde runners as they come into your nest! 6. Some of you may be stationed near an obstacle. Please do not chase or take flags if runners are waiting to complete an obstacle or while on the obstacle. Or immediately after the obstacle (that is just not fair – given them a chance to run) SAFETY is a MUST. 7. However, some may be asked to "guard" an obstacle. In that case, you may be on the side and protecting it from anyone trying to go around. If they attempt to go around, and not complete an obstacle, they are open to being “infected” by stealing their flags. 8. Absolutely NO intentional physical contact. Do your best. Accidental contact may occur as you reach for a flag. Even diving for a flag is permitted (especially if you see someone who is over confident in their survival skills) Do your best not to touch the oncoming runner. Finally, REMAIN IN CHARACTER! No teamwork! Zombies are independent although they may gather in hordes. Have you considered leading a team or being part of a team? There are tremendous benefits to running with a group of friends or survivalists! And now it's easier than ever! If you have already registered go here and click on your event, login in, and follow instructions to set up your team! What the bleep are you waiting for??? As you register, you will be asked if you want to set up a team, just follow directions! Then, send an email blast out to all of your friends with your team name and password. You can tweet it, post it to Facebook, or whatever means of communication you need. Group text message or maybe even a phone call! A.) My team is going to try and survive, these events are more fun in groups and we have a better chance to survive if we run together. Then we can chill in the after party have some grub and a few drinks. 1. Doing it with friends is always more fun! 2. But if you don't have any friends, it's ok, doing it with strangers is tons of fun too! 3. Don't tell them, but invite a slow friend or someone just starting to get in shape. You will know when the time is right to use them as bait! 4. Teams can create their own means to try and raise money or awareness for their cause - get sponsors! 5. Protect one another! If someone is down to their last flag, how fun will it be to try and protect that person on the course! Zombies only want flags, they don't care how many each of you have! 6. Help one another over, around, or under obstacles! 7. Groups of zombies can swarm! 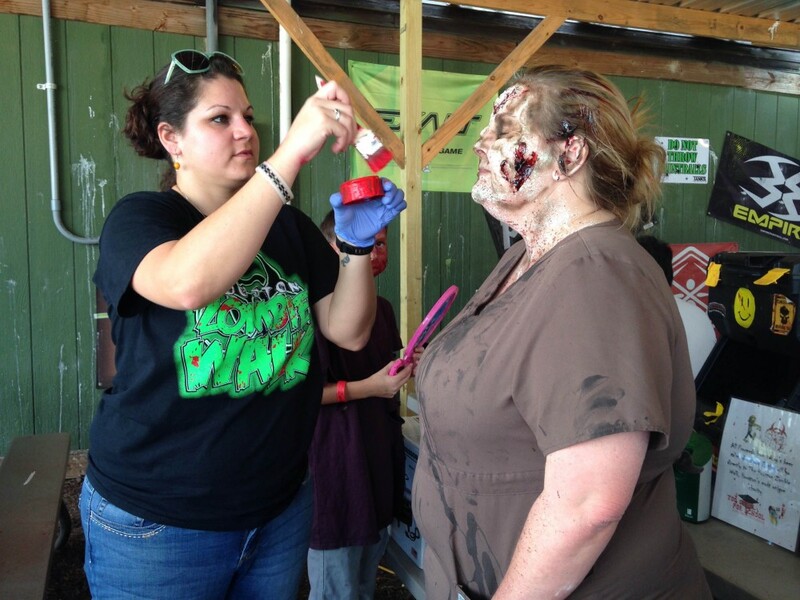 Volunteers are critical and will have tons of run at this zombie apocalypse event! Can you act or remain in character? We need you to! There are many opportunities to be part of the Apocalypse. Opportunity to participate in the "Post-run Party"
OK - So you don't have the courage to handle the zombie charge as a runner or zombie, but you want to watch your friends and family run from zombies, right? Arrive with your runner and zombie friends, and come see what all the hype is about. Unfortunately for you, there will be no day of registration to participate in the event. 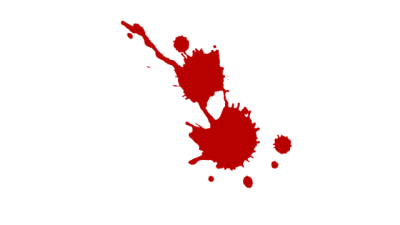 I promise you, when you see the zombie infestation taking over, you're going to wish you registered. But we realize, running from Zombies is not for everyone, so come cheer on your friends and family, and watch them attempt to survive the Zombie Charge. There will be viewing areas throughout the courses - some even close to the survival party safe zone. There will be Live Bands, Food Vendors, Games and Contests that will surely keep you occupied. But please, read our rules section prior to attending. Reminder, there is a $10 fee for parking, so please bring cash and car pool. Some games with prizes include tug of war, corn hole, paintball, and more!